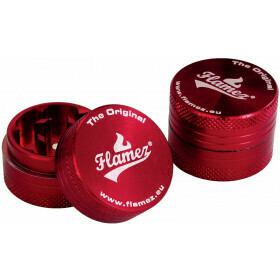 Huge 4-piece grinder from our top brand Flamez. Top quality metal. Diameter 30mm. Color: red.